Reishi mushrooms have long been used as medicine. Also known as the Ling Zhi mushroom, these fungi grow on the sides of trees. In the wild, reishi mushrooms prefer to grow at the base of maple or hemlock trees. These mushrooms are actually a group of species in the Ganoderma genus. The most common species are Ganoderma lucidum and Ganoderma tsugae. Different species of the Ganoderma genus are found around the world, but they’re mostly used in Chinese medicine. These mushrooms are quite bitter and aren’t used for cooking or other culinary purposes. Rather, they’re strictly medicinal mushrooms. Reducing Tumor Growth in Cancer Patients. Lab studies suggest that the beta-glucan sugars in reishi mushrooms help inhibit tumor growth. Reducing Fatigue, Depression, Anxiety, and/or Irritability. Studies do not support these claims. Reducing Inflammation. Lab studies in animals or tissues support this, but no promising results have been shown in humans. Treating HIV and AIDS. Reishi might stimulate the immune system, but no studies have yet shown that this mushroom can fight active infections. Lowering Blood Pressure or High Cholesterol. Some studies support these claims, but more research is needed. Like with many supplements, it’s not hard to find many other claims of the benefits of reishi mushrooms – but you can’t believe everything that you read online. Most of these health claims aren’t exactly backed up by the research. Experiments with humans have been mostly underwhelming in relation to the medicinal properties of powdered reishi mushroom. That statement comes with a big caveat: researchers have found enough pointing towards the mushroom’s ability to combat cancer cells that they are starting to recommend it anyway. In other words, the scientists that studied all of the studies on reishi mushrooms found minimal side effects and enough evidence of the mushroom’s cancer-fighting potential that it should be used as an adjunct treatment along with other first-line therapies. The authors did not make note of any cancer-preventing properties of the reishi mushroom. 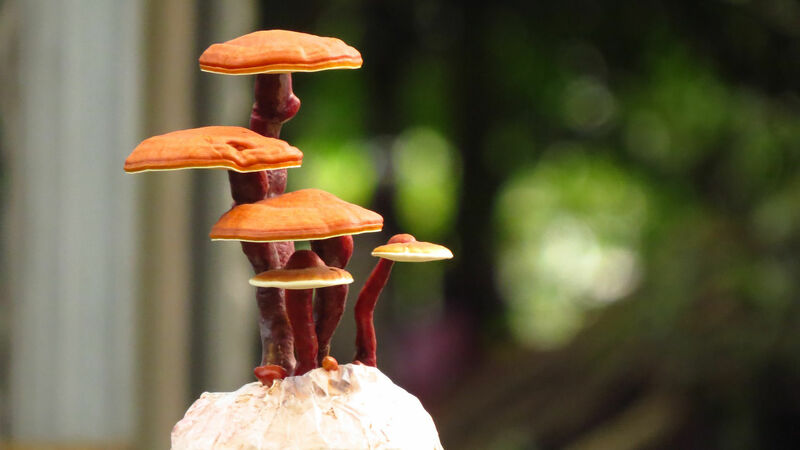 It’s unlikely that reishi mushroom extract will be the one thing that keeps you healthy – but it might not be a bad idea to try. All of that said, you should always consult with a healthcare professional before adding any treatments or supplements to your life. 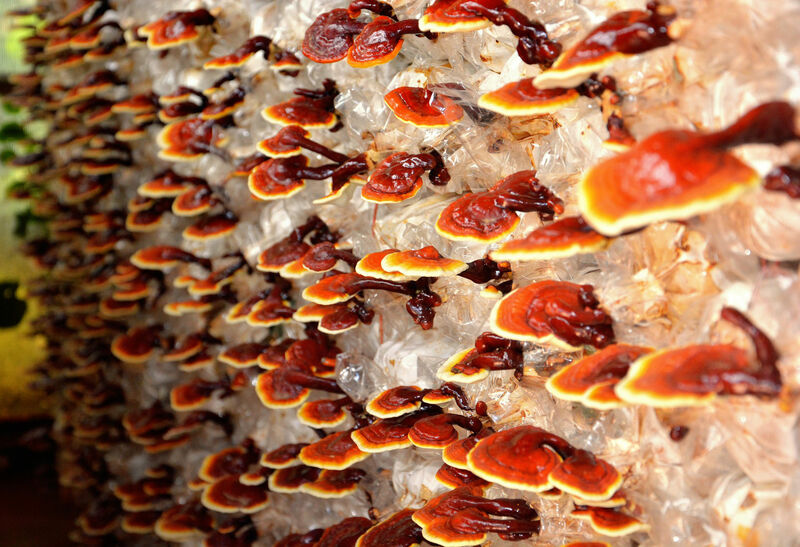 If reishi is natural and safe and helps the immune system, why shouldn’t we all take it? Of course, different people always react differently to different drugs. You should work with a healthcare professional to create a safe dosage schedule and treatment plan. Side effects of reishi mushrooms can include dryness of the mouth and increased risk of bleeding. It’s important to stay away from this fungus if you’re at risk of nosebleeds or bloody stools. Reishi mushroom can also cause liver toxicity, especially in the powdered form. One patient died after switching from reishi tea to a powdered form of the fungus, and another fell very ill.
You’re actively undergoing chemotherapy. Reishi mushrooms reduce the efficacy of chemo. You’re taking immunosuppressants. Reishi’s immune boosters counteract this! You’re taking blood thinners. Reishi makes you more prone to bleeding. You’re taking cytochrome P450 2E1, 1A2, and 3A substrate drugs. Reishi makes the side effect of these drugs worse. Finally, supplements can have different interactions with each other and your medications. If you’re not careful, even with natural supplements, your supplements and extracts can actually cause problems rather than cure or prevent disease. It’s extremely difficult for your doctor and pharmacist to know how plant extracts may interact with medications or other supplements. In fact, it’s not uncommon to have supplements and plant extracts that cause extra symptoms rather than making you feel better. Keep that in mind before you start drinking reishi mushroom tea! What Forms of Reishi Mushroom Can I Take? There are several different ways to take reishi mushroom supplements if you choose to do so with the guidance of a healthcare professional. Tea is a bitter but quite safe way to take in the mushrooms. Extracts are rated as “possibly safe” by WebMD for up to one year. Powdered reishi mushroom is rated as “possibly unsafe” for use over one month after reports of liver toxicity in some patients. In short, it’s probably best to stick with tea or extracts if you’d like to see what reishi mushrooms can do for you. Only take powdered reishi under the supervision of a medical professional, if at all. Whenever you’re considering adding a new supplement or extract to your life, it’s smart to do good research. View the claims of websites that also sell the product with a skeptical eye. I found many measured and lukewarm reports of reishi mushroom in scientific journals, medical websites, and other well-respected areas. However, I found contradictory (and almost absurdly glowing) reviews of reishi mushrooms on many websites that also “just happen” to have some reishi mushroom products to sell. What has your experience been with reishi mushroom? We’d love to hear your experiences!